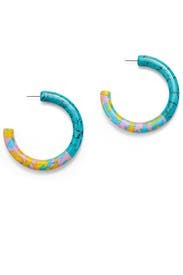 Proof that there's nothing tie-dye can't touch, these colorful Lele Sadoughi hoops are pretty and playful. 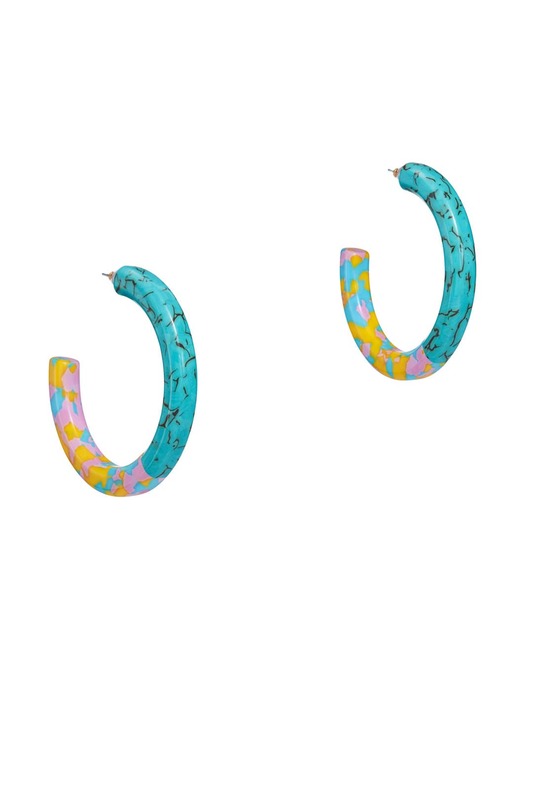 Bold turquoise acetate oversized hoops. Post backs for pierced ears. 3.25" outside diameter.